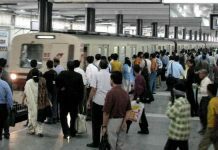 Kolkata: A woman passenger has been hospitalised after suffering injuries as a fire broke out in a Metro Railway train on Thursday morning. Two more passengers, both men, who were also taken ill in the mishap, were discharged on first-aid. 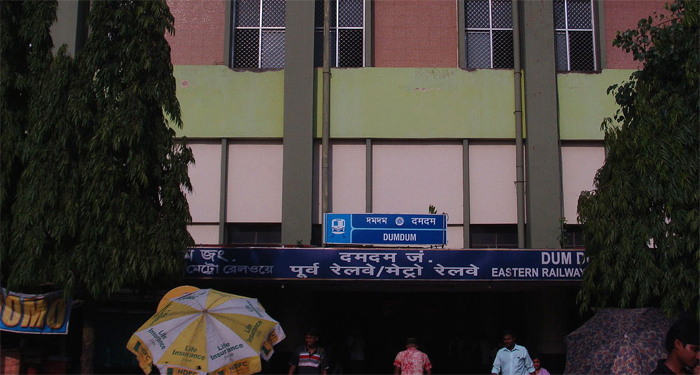 The non-AC Metro train had just rolled out from Dum Dum station around 10.45 this morning that both the passengers and the station staff noticed a fire in the undercarriage of the third coach from the engine. The eight-coach train, whose five coaches were still at the platform, were stopped at once. By then, thick smoke had filled the third coach. As soon as the train stopped, the passengers started rushing out of the train through the rear five coaches whose doors had been thrown open for the evacuation. In the hurry to get out of the fire-hit train, a woman in her 30’s fell inside the train. Without caring to lift her up, panic-stricken co-passengers continued to rush out by stepping on her. She was later rescued by Metro Railway staff and rushed to the RG Kar Medical College and Hospital at Belgachia. The woman, who hails from Hansnabad in North 24-Parganas district, has suffered extensive injuries in her limbs. Two more passengers, who were taken ill due to inhaling excessive smoke, were treated at Dum Dum station itself. They were subsequently discharged on first-aid. 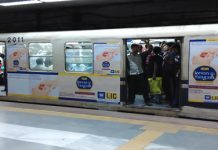 Metro train services, suspended for a while due to the train fire, resumed at 11.14 am. On 27 December, as many as 50 passengers were injured following a fire in an AC Metro train at Rabindra Sadan station. Since then, two more incidents of fire in the undercarriage of non-Ac trains have taken place. 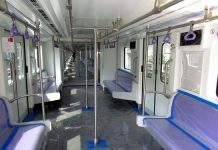 To tide over the situation, Metro Railway has reduced the number of weekday trains with effect from 28 January. This is to ensure proper maintenance of the rakes.